For many people, a difficult part of traveling is to determine the “three w’s:” when, where, and why. To help ease this difficulty, I always try to fly for a reason. And if you fly for a reason, you eliminate the why, which lets the when and where fall into place. To help you figure out the why, I’ve compiled a list of potential trip ideas for active seniors that focus on ways to meet each other. If you are an active senior that enjoys spending your time at the gym, why not take your daily routine to another country for a week? Instead of walking those several miles on the treadmill, you could be taking a leisurely stroll along a beach in the Mediterranean Sea, or biking through the small town of Oviedo in Northern Spain. Another alternative is to make a health goal to reach before an upcoming trip: the trip will motivate you to train and reaching it will allow you to enjoy your trip to the fullest! Whenever my mother and I head on vacation somewhere, she amps up her workout routine so that she feels more in shape to prepare for all of the walking we are about to do. Just beforehand, she always says that she feels like she is in better shape and is prepared for the trip. All in all, she likes to use the trip to motivate her to exercise. But remember: the exercise doesn’t need to be too intense. Always adjust to your own pace! Some of the best trip ideas for active seniors are planned around the celebration of life events, like anniversaries, milestone birthdays, or the celebration of a loved-one. Now that you have the time and money, why not celebrate your 50th wedding anniversary in Paris, sipping on wine in a fine restaurant with a view of the Eiffel Tower? Or why not celebrate your retirement from a long and successful career with a cruise in the Caribbean? You could even plan a trip like this with your life long best friend, and his or her spouse! Another popular trend for active grandparents that you’ll want to participate in is grandparent-grandchild trips! Grandparents are taking their grandchildren on a vacation to celebrate a high school or college graduation, and these trips are excellent bonding experiences between the grandparents and grandchild, with memories that will last a lifetime! Wouldn’t your grandchild love to snorkel in Hawaii with you? Or how about a trip to provide them with Jewish cultural experiences? 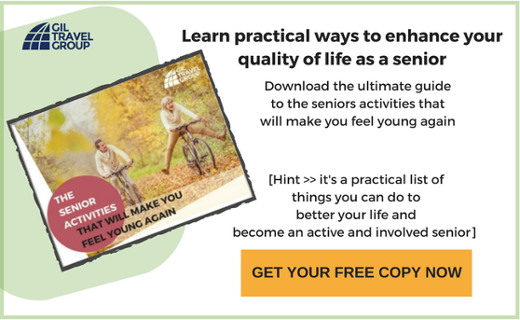 Let’s focus on active seniors meeting other active seniors who share the interest of travel. There are many companies that develop active senior tour packages, designed for couples and solo travelers, alike! 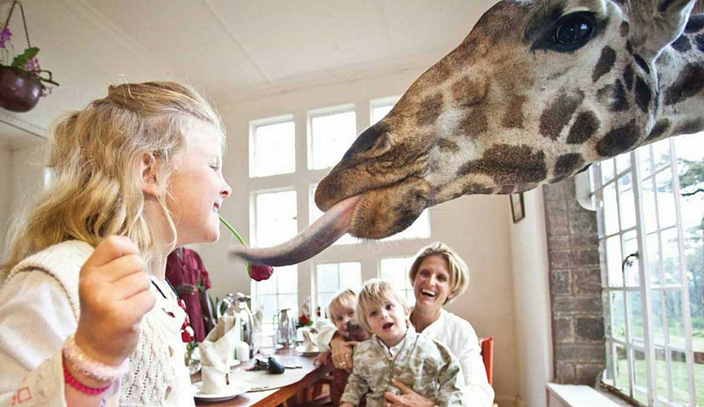 Regardless of the tour company, you will surely meet other people who share similar interests and hobbies. This is an extremely popular option for first time travelers looking for a new and exciting destination! 4. Church, mosque, or synagogue tour If you are interested in religion or consider yourself to be religious, a group tour with your local church, mosque, or synagogue is another excellent reason to travel! You will surely find a sense of solidarity if you’re traveling with people from your local community. Plus, you may even meet someone in your community that you didn’t know that well before! Throughout the trip, you could explore your religious beliefs, which for some people, is an excellent reason to travel. Service trips can be extremely rewarding, eye- and heart-opening experiences. And if you have never traveled before but already have an interest in giving back to others, this could be a great option for your travels. There are many service organizations that plan service trips year-round that make good senior trip ideas, and these organizations are constantly in need of more support! Let’s say that you’re a World War II history buff; why not take a tour to the place that you’ve been reading about your whole life? If you have the means, time, and health, history tours are an excellent way to spend your days of retirement! The world is full of historically and culturally rich destinations. There is surely a place of interest out there for you! Why not take that cruise that you’ve been thinking about? Or go lay on the picturesque beaches in Manuel Antonio in Costa Rica and take photographs so beautiful that you’ll hardly believe you were there? Most of life is spent either at school, work, or home. And if you are just starting off retirement, there is no better way to begin your free time than to take the relaxing vacation that you need and deserve! So, you always wanted to go sailing down the Amazon? Or drive through the African Savannah hoping to spot a pack of gazelles? Believe me when I say the options are there! 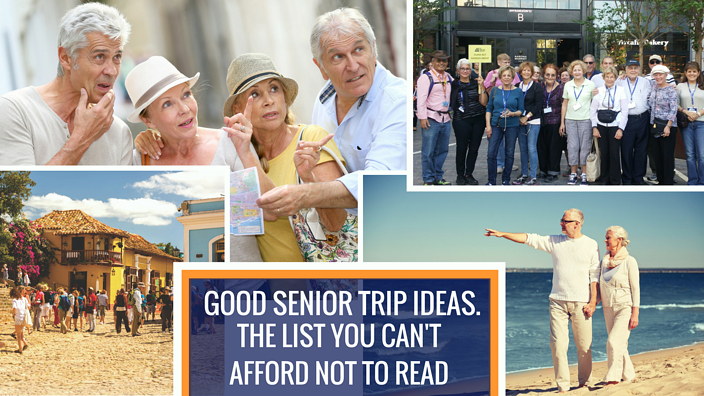 Now that you and many other active seniors have the time, there are trips available that take you on these expeditions. The encounters that you could have on an expedition like this -- with nature, adventure, challenge, and triumph -- are ones that you may have daydreamt about while you were at work for all those years. Why wait any longer?! Have you ever thought of attending a conference for your passions or hobbies? One is likely happening this year, and chances are that it’ll take you to destination that you never thought you would visit. Moreover, if you attend a conference that was related to your industry or your line of work, you would still be in the know even while in retirement! Conferences are also great because you will have the opportunity to make connections and expand your network while at the event. If this city is unchartered for many of the conference attendees, you will likely find people willing to explore the city with you! “I saw a deal, so I went for it,” is one of the best explanations that you could give to someone as to why you’re traveling. It could be that your favorite airline was having a flash sale, or that you found transatlantic tickets to Barcelona for only $350. Regardless of the destination or reason for the impromptu trip, you will likely spark your friends’ interest, even to the point that they may wish to travel with you! Though we’ve only listed 10 reasons to travel, there are so many more! Traveling adds such a thrill to life because you never know what may come your way. My challenge to you is that no matter where you go, fly back having made a new friend. My favorite part of traveling is that I am constantly expanding my network; every time I do this, I feel as though the world became just a little bit smaller. So set out on your journey - expand your horizons with one of these good senior trip ideas and return knowing so much more about your world!